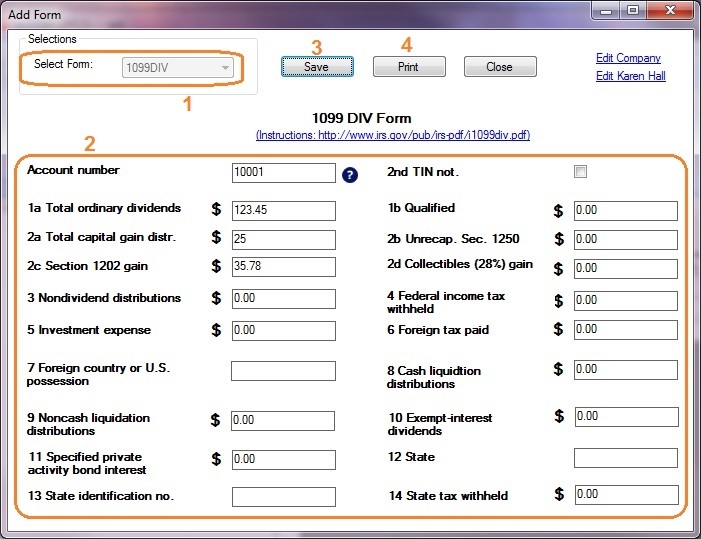 ez1099 software can prepare, print and efile forms W2G, 1097BTC, 1098s (1098, 1098C, 1098E, 1098 T), 1099s (1099A, 1099B, 1099C, 1099CAP, 1099DIV, 1099G, 1099H, 1099INT, 1099LTC, 1099MISC, 1099OID, 1099PATR, 1099Q, 1099R, 1099S, 1099SA), 5498s(5498, 5498ESA, 5498SA), 8935, 3921, 3922, 1096 forms required by the IRS. If you do not have ez1099 software installed, try it free today with no obligation and no cost. If you are ready to print form, you can click the "SAVE" button to save your changes first and click the "PRINT" button to view print options. 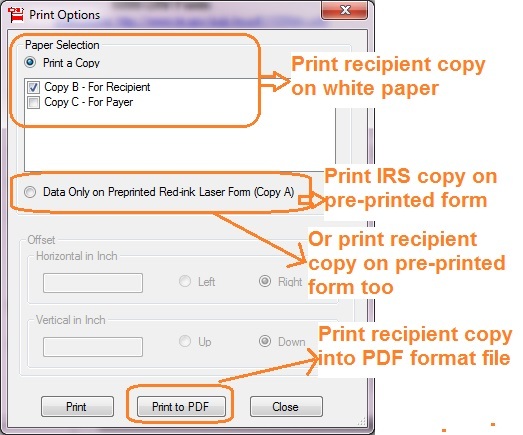 You can click the "PRINT TO PDF" button to print recipient copies into PDF files. However, this feature is only available for advanced version. How to print multiple forms on the same red-ink sheet?